In the closing days of the thirty-year Sri Lankan civil war, tens of thousands of civilians were killed, according to United Nations estimates, as government forces hemmed in the last remaining Tamil Tiger rebels on a tiny sand spit, dubbed "The Cage." 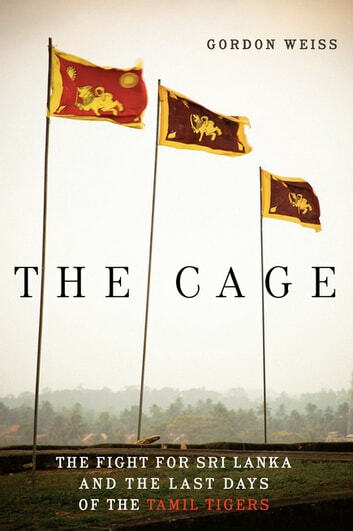 Gordon Weiss, a journalist and UN spokesperson in Sri Lanka during the final years of the war, pulls back the curtain of government misinformation to tell the full story for the first time. 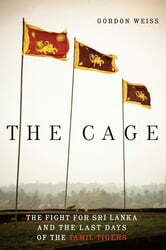 Tracing the role of foreign influence as it converged with a history of radical Buddhism and ethnic conflict, The Cage is a harrowing portrait of an island paradise torn apart by war and the root causes and catastrophic consequences of a revolutionary uprising caught in the crossfire of international power jockeying. Gordon Weiss has lived in New York and worked in numerous conflict and natural disaster zones including the Congo, Uganda, Darfur, Bosnia, Afghanistan, Syria, and Haiti. Employed by the United Nations for over two decades, he continues to consult on war, extremism, peace building, and human rights.